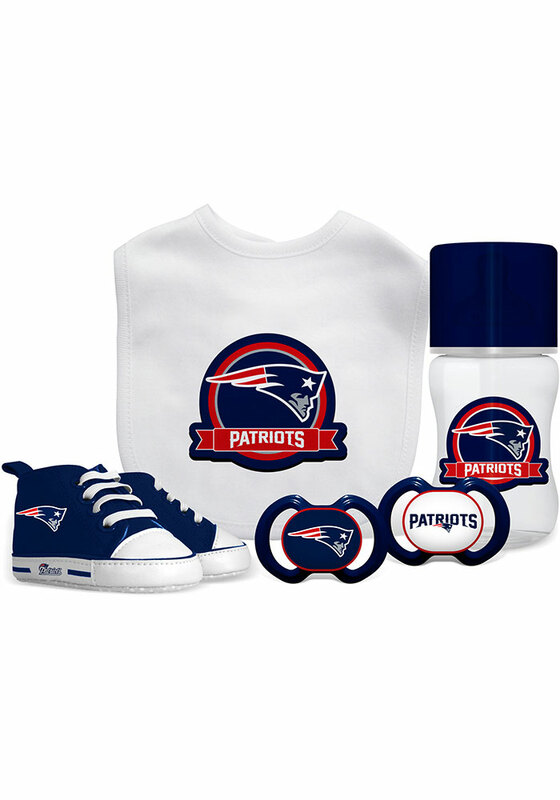 This New England Patriots White 5-Piece Baby Baby Gift Set makes a great gift for any new parents of a future Patriots fan. Featuring a New England Patriots bib, 9 ounce bottle, high-top shoes, and two pacifiers. Each item is BPA free and is decorated with colorful team graphics. Pre-walkers slip on and feature team logo, soft fabric upper with white laces, grippers on the bottom, padded soles, and a supported toe cap for stability, this Baby Gift Set will delight any new parents.